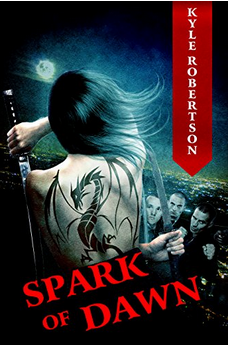 “Spark of Dawn: an Assassin’s Vindication,” by Kyle Robertson, is a gritty underworld Yakuza fiction thriller revealing the shunning of a woman in a rigid male society. It focuses on the fallacy of equality of any professional career in any setting. It also deals with the mental health of a leader and how his mental state can corrupt his faithful followers. The story is an unlikely death chase of a woman by her proverbial brothers in the dark world of the Yakuza. Kyle Robertson was in sales for 21 years. He spanned from a telemarketer to a product trainer. His product knowledge was vast. It spanned from replacement windows to home maintenance equipment, with automobiles, and many electronics thrown in. He could tell you the difference between a varactor, and decent tuner, and even what they were. He went into military Intelligence when he graduated from high school and had to know all NATO, and Warsaw Pact vehicles. He had many stories from the military, and many he made up.